Subscription satellite viewing card for Russian Inter TV channels broadcasting via Hotbird at 13 East in Viaccess encryption for 6 months. 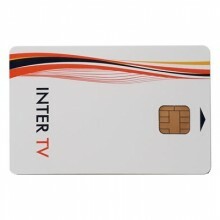 The Inter TV smartcard gives access to three channels, Detski Mir (7am - 7pm), Teleklub (7pm - 7am), Nashe Kino (24h). The channel line-up is designed to provide Russian nationals living abroad with innovative programming from Russia, including the latest TV-series, talk-shows, childrens programming and a vast array of movies. 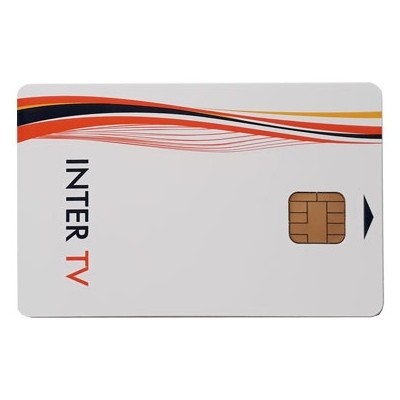 Click the button below to add the Inter TV Russian Viaccess Smartcard Hotbird 6 Months to your wish list.